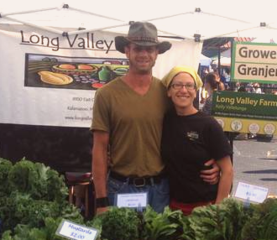 At Long Valley Farm we strive to produce the most tasty, nutritious vegetables we can without harmful chemicals or genetically modified seed (GMO). We also believe in good food for all, regardless of income. That's why we are working to establish our farm fresh food in more socially disadvantaged areas of west Michigan, where access to safe, healthy vegetables is restricted. Our goal from our humble beginning in 2010 has been to create a healthy ecosystem where we grow outstanding organic vegetables for you. We believe in using only sustainable, biological farming methods that build the soil and produce the best plants possible. Since we know that even organic chemicals don't kill just the 'bad' bugs, we choose to fight pests with mechanical controls, such as using row covers and encouraging beneficial insects. To better reflect our farming practices, in 2011 we became a Certified Naturally Grown farm* (see www.naturallygrown.org for more details). This makes our commitment to absolutely healthy, safe and delicious vegetables more transparent for our members and customers. Our goal in farming is not just providing delicious, fresh food, but also to help instill a greater sense of responsibility to our community and our natural world. People have become discouraged with cheap, unsafe, mass produced goods. This is an opportunity for us to choose something better. When we choose to support our local businesses and neighbors rather then corporations, we have a voice in the type and quality of products we get. When neighbors rely on each other, we grow strong communities and a greater connection to the land which sustains us. Farming is incredibly rewarding for us. At the end of the day it feels great knowing that together, we are protecting our environment, creating strong ties in our community and giving under-served people an opportunity to choose better, safer food. Our veggies are pretty darn good too! 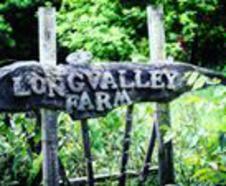 Thank you for choosing Long Valley Farm as your local farm. We encourage you to come out, see our growing practices for yourself, and don't be afraid to get those hands dirty! 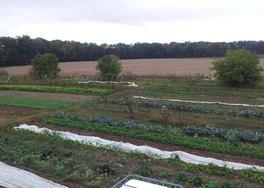 We proudly grow 100% of the vegetables we sell to you.